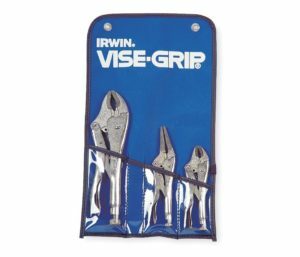 Irwin Industrial Tools Vise-Grip. The original locking pliers was first patented by William Petersen of Petersen Manufacturing in Dewitt, Nebraska in 1924. In the mid 1980’s American Tool Companies bought out Petersen Mfg. and American Tool was subsequently purchased by the Newell Rubbermaid Corporation. 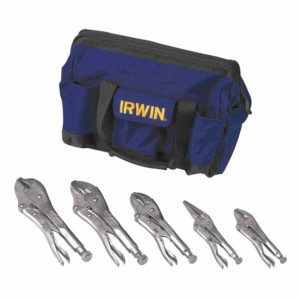 Irwin Industrial Tools is one of many companies in the Newell Rubbermaid group and the Vice-Grip Locking Pliers have been sold under the Irwin name for quite some time now.